Always remember that any first aid administered to your pet should be followed by immediate veterinary care. Most emergencies require immediate veterinary care, but first aid methods may help you stabilize your pet for transportation. First aid care is not a substitute for veterinary care, but it may save your pet’s life until it receives veterinary treatment. For your safety: If your pet is injured, he/she is likely in pain, scared and confused. Be careful to avoid getting hurt, bitten or scratched. Even the most gentle pet could bite or scratch if injured, always keep your face away from its mouth. 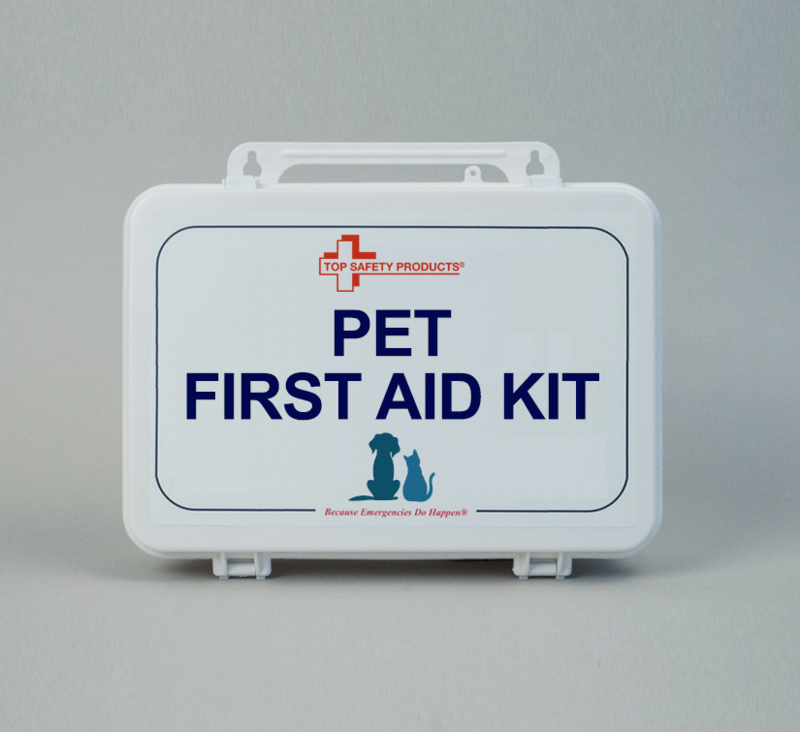 So be prepared with Top Safety Products Pet First Aid Kits. Our travel size or fanny pack first aid pet kits. Pet medical emergencies do not just happen at home. 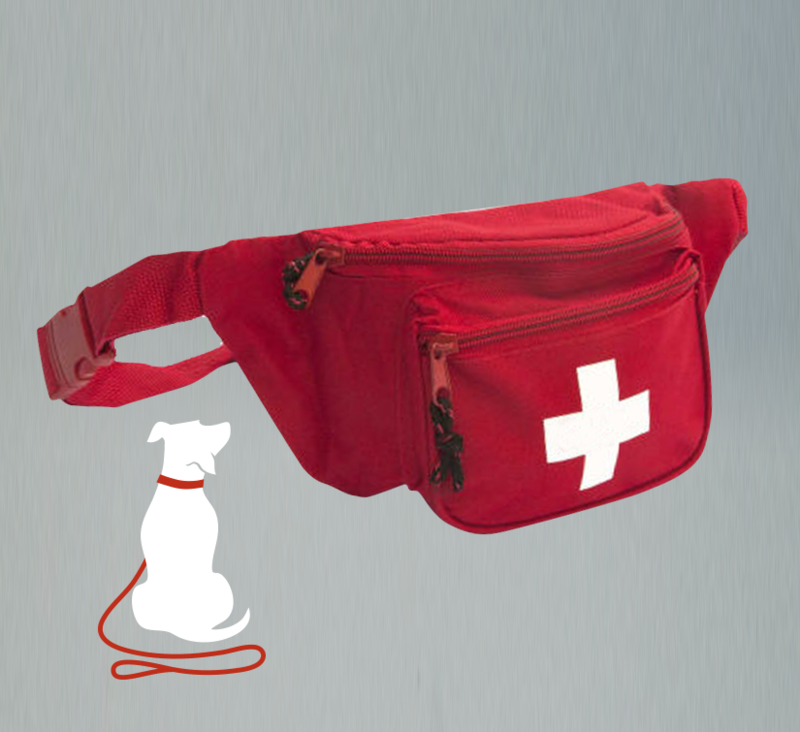 Our hands free fanny pack pet first aid kit is perfect when walking, hiking, traveling or playing at a dog park. Contains items needed to help administer first aid in an unexpected pet emergency while out of the house and on the go.